Over 900 teachers from 28 different countries have attended this unique 3 day workshop for Dance Teachers and Health Professionals. Join this growing group of dedicated educators and become inspired by learning alongside like-minded professionals. For full details of the content of the workshop please visit our page outlining our 3 Day Dance Teacher and Health Professional Workshop. By ticking this box, I understand that any of the material gained from these workshops can exclusively be used for the educational purposes of my teaching. Redistribution of this material, either electronically or physically, is not allowed as well as dissemination of the information within these courses for personal profit. These intensive Dance Teacher Training days are always extremely popular and provide attendees with a huge wealth of knowledge. Many teachers come focused on what they will learn for their students, and are delighted at what they discover, but also leave with exciting revelations about their own body! After delivering this course to over 1000 teachers worldwide, from more than 28 different countries, the original course has been completely restructured to give the best learning experience. As the demands placed on young dancers’ increases, with challenging choreography and extreme mobility becoming commonplace, dance teachers are faced with more injures and physical complaints than ever before. Health professionals are also challenged, with dancers needing high level rehab that is often outside the realms of how they have been trained. Therapists are often frustrated with dancers not taking appropriate rest times, or failing to improve with ‘normal’ rehab programs. 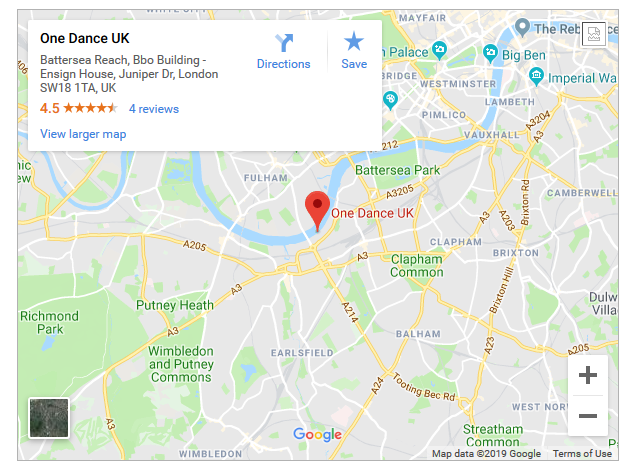 Our aim has been to bridge the gap between dance class and the therapists clinic, providing Dance Teacher Training courses to improve knowledge of how to prevent injury in the studio, and empowering Health Professionals with highly effective ways to get dancers back to their full capacity in the shortest possible time. It may seem unusual to train these two disciplines at the same time however our ultimate aim is to build local communities of like-minded individuals who can work together to help their dancers excel. Postural Control – Day 1 commences with some exploration into the driving forces behind many dancers habitual standing posture, and the most effective ways of approaching this. Many dancers overcorrect their postural control and end up creating more tension in their body, or struggle to sustain their corrections. We also look at the dynamics of stability when moving in and out of static postures and how to work with this in the studio. Flexibility Training – We start this section with a discussion in the difference between appropriate warm up/cool down routines & flexibility training. We will discuss ideas for effective warm up routines for different class styles and suggestions for diverse age groups. We then explore the nature of flexibility and why this is so variable in different individuals. We explore the nature of Fascia and how this is a major influence on mobility in all ages. We will also discuss the dangers of over stretching and partner stretching, especially at critical ages in a dancers’ training, and safer ways of achieving the same levels of mobility safely. Core Control – True core control goes so far beyond doing hundreds of sit-ups, especially if dancers have had any experience of back pain. Good core control helps the dancer in a myriad of ways, from improving turns and adage to allowing an increase in flexibility! We look at a clever way to facilitate the bodies natural core stabilising system, and the subtlety needed for optimal stability. A graded system of assessing and developing core control is introduced, which can be used as a framework and be further customised by each teacher/therapist based on their specific genre & experience. Dance Assessment – Every dancer, no matter what age or grade level can benefit from a dance assessment. The assessment is designed to look at common issues with basic technique, understanding why some students find these simple elements difficult and effective ways of addressing any issues found. This information will help create a dancer’s roadmap to real improvement as fast as possible. Simple solutions to common problems allow teachers and therapist to make massive change in a dancers perception of their own physical abilities and transform their potential! During this detailed assessment component we will discuss what is ideal in each test (with allowances for age and experience) and analyse common issues, then learn how to correct these issues via corrective stretches, exercises, warm up techniques, visualisation cues & points to focus on in class. This is especially helpful for therapists who may not have a strong knowledge of what is required in some simple dance steps and movements. Dance teachers will learn why many things they already know occur and practical tips to correct common issues in class. These insights will provide teachers with greater flexibility in helping students correct flaws in technique or body issues that were previously thought to be uncorrectable. Standing in 1st and 5th position – So many common issues in dancers come from forcing turnout in these ‘basic’ positions. We explore simple techniques to transform the experience of standing in turnout, and how to teach this in class. Plié – Many dancers complain of “short Achilles” and struggle to ground the heels in jumps. The dynamics of the foot en fondu are actually quite different to what you may have been taught in other Dance Teacher Training courses. Simple mobilisation techniques of the mid foot can dramatically change the depth of plié a dancer can access and can also help prevent knee, hip and back issues. Rise – So many dancers are desperate to achieve more pointe range, and often resort to dangerous methods in their quest for a nicer line. We look at safe ways to improve pointe range and stability on rise without a foot stretcher! Tendu en Croix – This ‘simple’ step is one of the building blocks of classical technique, but is often poorly understood and executed by dancers. We break down the elements of a perfect tendu and a simple sequence to get this happening in class. Retiré – Dancers all over the world struggle with placing their leg in a retiré and complain of tension and pain in their hips. A simple sequence of hamstring activation and turnout exercises can transform the experience of placing the leg in this position which then leads into much more effortless adage. Hip Assessment – Not all hips are created equal! Training turnout is probably one of the biggest challenges for dance teachers & therapists, as not many individuals are blessed with great range and control in all directions. This section will look at the hip in detail, and how to assess turnout range in all directions. Based on the findings of these assessments, we look at smart and safe ways of improving turnout range in all ranges. Training Turnout and Hip Injuries – After improving our turnout range on Day 2, we then discuss ways of improving control of external rotation control in all positions (standing leg, en fondu, in retiré, devant, a la seconde and in an arabesque). A special note will be made on how to prevent and recover from hip injuries such as snapping hip and anterior hip pain. Allegro and Returning to Jumps Following Injury – Correct foot control is essential in everything from allegro to pointe work and everything in between! We will focus on how to isolate just the right muscles in the dancers foot to help improve technique, balance and prevent injuries. We will also go through a series of exercises for the rest of the body to help dancers work through their whole leg in allegro, for quiet jumps and ultimate height! This is essential when a dancer is moving back to jumping after a period of time off. Retraining the correct movement patterns of jumping can be the difference between recurrent injury and complete resolution of the issue, as well as improving jump height in non-injured dancers! Spinal Mobility – Many teachers report that their students are wanting to include elements to their routines that require far greater levels of flexibility in the back than they currently have. There are many unsafe ways that students attempt this, and teachers often struggle to give students safer alternatives. We discuss safe ways of improving range of motion in the spine as well as the dangers of pushing too deeply into back bends. Arabesques – One of the most challenging positions to achieve for classical dancers is a well placed arabesque, and it is one thing that does not necessarily get better simply by practicing the same thing over and over again. We will analyse the ultimate arabesque line, and look at exercises to improve each component, as well as exercises to help bring all of this together. Integration of the course content – After listening to suggestions from previous participants we have extended the length of the original course to allow time for specific questions across all topics, and ideas on how to best integrate the content of the course into your studio. This allows us to go over any areas that individuals may want clarity on, or discussion of specific case studies. The 3 Day Workshop will be $750 AUD (excl GST) and is strictly limited to just 26 Participants. The cost will include lunch and a fully printed manual. Hurry and secure your place in the LONDON, UK workshop today! Please Note: It is only possible to purchase a single ticket in each transaction. This is to ensure that each participant’s details are correctly added to the system. If you are booking for more than one attendee, please make sure to use each attendee’s personal details so that they are correctly registered. *Please click here to view our cancellation policy before completing your purchase. This course aims to give dance teachers, therapists, pilates and yoga instructors a range of suitable exercises, stretches and fascial mobilisers that will help their students achieve their best possible range. Since the science behind flexibility has changed, it only makes sense that the methods we use to increase flexibility change too. A multifaceted approach to flexibility is now recommend with students recognising what type of restriction they are feeling and mobilising that structure specifically rather than just pushing through it. There are many types of restriction that may be holding them back from their full range, including muscular, neural, fascial or even a bony restrictions in some individuals. Identifying which type of blockage is present and using specific techniques to release the varying types of restrictions is the quickest and most effective way to increasing mobility. Participants are taught a holistic, no stress approach to flexibility to reduce stress in all areas of the body. The course uses a synthesis of ancient wisdom and the latest anatomical research, incorporating but not limited to therapeutic treatment techniques, the principles of yoga and the anatomical fascial trains model from Thomas Myers. We discuss the best ways to incorporate these techniques into the dance classroom and into the students’ conditioning programs. A basic understanding of conditions like Hypermobility is given to cater for the increasing numbers of students with extreme mobility in the dance world today. Specific ‘dos and dont’s’ are outlined for pre-class warming up/stretching routines and the post class conditioning routine. Due to the location of this workshop in a high level Rhythmic Gymnastics training facility, we have extended the original single day workshop into a 2 day in-depth dive into the training of flexibility at all levels, from beginners through to advanced performance athletes. 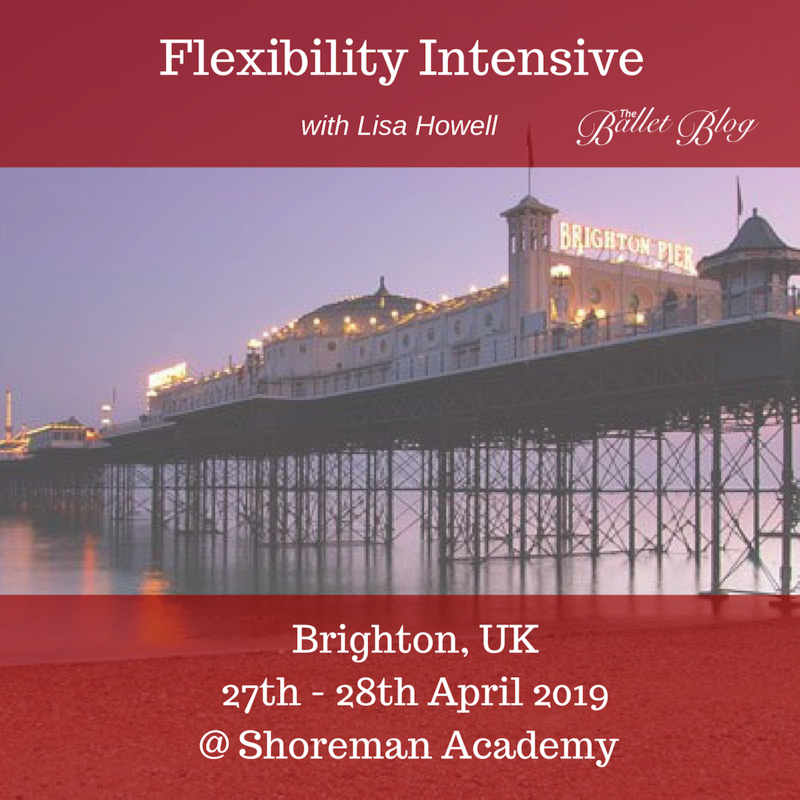 Day One focusses on understanding the nature of flexibility, how to assess each individuals particular restrictions and the order of progression of which restrictions need be worked on for optimal efficiency and safety in flexibility gains. We explore the importance of the breath, how to work with ‘bone-on-bone’ restriction, the nervous system (on multiple levels), the fascial system and the influence of muscle tone on mobility. We explore how each of the components of flexibility can be worked with intelligently to create lasting change in flexibility. The exercises in this level are suitable for all attendees, and many teachers who have not moved well for years discover are surprised and delighted that carefully chosen assessment and ‘treatment’ techniques can open up their range in a pain free way! Day Two includes a revision of Day One – with a discussion of ways of including the various techniques and progressions in a class situation and we run a ‘real time’ mobilisation session to get everyone feeling great. We also look at seemingly innocent common habits that contribute to a reduction in flexibility. The rest of the day is spent exploring how to use modifications of the techniques to train dancers, gymnasts, contortionists and martial artists into the extreme positions that they require for high level competition in the safest way possible. Safely improving and maintaining extreme range is highly dependent on subtle segmental stability of local stabilisers to control joint position, and understanding this can not only help performers achieve phenomenal range safely, but this can also help extend their career potential, and live a pain free life following retirement from competing. Do not worry if you struggle with your mobility! We will have several well trained Rhythmic Gymnasts along as demonstration models so you will not feel obliged to perform any movement that is not part of your normal repertoire.